Wow. Pegaso, the Spanish truck manufacturer, produced a line of sports cars in the 1950s and, boy, are they lookers. They are also highly desirable. The best-looking (and meanest) versions of the Z-102 I’ve ever seen have all been bodied by Saoutchik. This Cabriolet tops them all for beauty. The Pegaso Z-102 was introduced in 1951 and lasted through 1958. Only 84 were built. This uses a 2.8-liter V-8 making 165 horsepower (other cars have other engines). Pegaso went the interesting pre-war route of offering different engine combinations with their chassis’ and then sent the cars to coachbuilders for interesting – sometimes one-off – bodies. Saoutchik bodied some of the most flamboyant cars of the 1930s and 40s. When the last of the great coachbuilt cars (Talbot-Lago) stopped production, the great coachbuilders that were still around really didn’t have a lot going on. Some of them bodied a few Pegasos – Saoutchik bodied 18 Z-102s. Only one is a Series II Cabriolet (there were three Series I Cabriolets) and this is it. This car spent most of its life in its home country of Spain. At some point, an owner but a coupe body on it but it has been restored to original condition. It’s gorgeous and extremely rare – the most sought after post-WWII Spanish automobile ever built. It should sell for between $1,250,000-$1,750,000. Click here for more info and here for more from this sale. 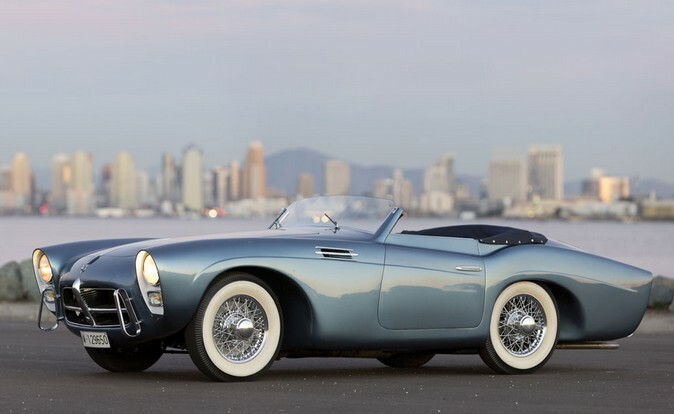 This entry was posted in Uncategorized and tagged 1954, auctions, cabriolet, cars, classic cars, pegaso, rm auctions, saoutchik, series ii, z-102 by ClassicCarWeekly. Bookmark the permalink. If you didn’t mention it, I wouldn’t even think that this car was made from the 50’s! Getting repairs for this car would definitely be a daunting yet rewarding task.